There is no doubt an abundance of wedding ministers in Lake Tahoe. Selecting an appropriate minister to conduct your ceremony is an important step in preparing for your special day. 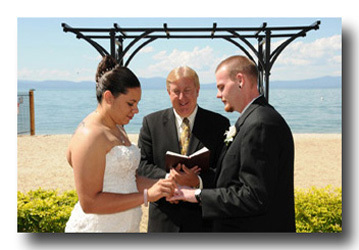 Many pastors in South Lake Tahoe have their own philosophy and unique style that govern their approach to the marriage ceremony. Some wedding ministers perform the ceremony with little or no restrictions, usually of a non-denominational nature. Others may have their own ministry and perform the ceremonial rite while remaining within the parameters of a traditional church or particular faith. Alpenglow Weddings makes it an easy task for brides and grooms planning a Tahoe wedding to choose a wedding minister that’s right for them and one that meets their specific needs. Allow us to introduce a few of our ministers, each with different backgrounds and who have been performing weddings in Lake Tahoe for many years. 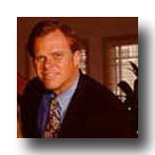 My name is Pastor Robert Orr and I’m a non-denominational minister licensed to perform ceremonies in California. I provide wedding services in a traditional manner or to suit your specific needs and requirements, which may involve delivering traditional services in a not so traditional way. Throughout my career, I have performed many unique ceremonies tailor-made to the bride and groom’s special requests. As a pastor, my background includes having over 20 years of experience, mainly working with couples as a pre-marriage counselor and conducting weddings in the Lake Tahoe area. Additionally, I was a former pastor at Tahoe Community Church for numerous years, a neighborhood church located in Stateline, Nevada. My education includes a Doctorate and Master’s Degree in Christian Counseling, a Bachelor’s Degree in Psychology, and a degree in Pastoral Studies. My diverse background and experience allows me to offer those aspiring marriage the perfect wedding ceremony, whether it’s conventional or personalized to their individual wishes. 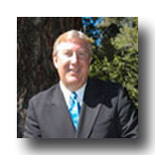 I’m Pastor Alan Morse, an ordained minister and pastor of a local church in South Lake Tahoe. It is my sincere desire, with God’s help, to make your wedding the most exciting, memorable and meaningful day of your lives. My main focus is primarily to enact a ceremony for couples who want a Christian wedding. Marriage is truly honorable and the most sacred of all institutions. Therefore, it must be respected, and I want to encourage people with the truth that marriage is a life-long commitment. Your wedding celebration is enthusiastically styled to your personality. Taking the romantic moments of your courtship with humor and seriousness – shared with me during our pre-ceremony consultation – I tell a story of the memorable times in your life. Presenting the wedding in this manner contributes to its individuality. In addition to a heartfelt ceremonial service, I can offer you a variety of styles of vow exchanges, from traditional to contemporary, elegance to casual, providing you with the atmosphere you desire. I’m Reverend Irvalene Blount. It’s been said by those familiar with what I do that I’m best known for my warmhearted ceremony presentation and my ability to personalize it specifically for the intended. I take a great amount of pride in my chosen vocation as a wedding minister and I love being a part of the most important day of two people’s lives. I am a nondenominational wedding minister and have been conducting weddings within the South Lake Tahoe area for over ten years. The ceremony I offer is entirely relevant to what the couple wants, and I can offer you a civil ceremony much like the Justice of the Peace, a commitment service, a traditional Christian ceremony, or a rite modified to your liking. My goal is to have your wedding day be one of immense significance and distinction. Example of a traditional nondenominational ceremony presented by Reverend Blount. 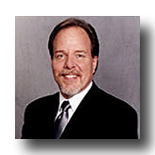 I’m Reverend JB McIntyre and I have been performing weddings in Lake Tahoe for over 25 years. As an ordained minister licensed in both California and Nevada, I’m routinely recognized for delivering a “ceremony from the heart”. With a lengthy pastoral tenure, I have had the opportunity to work with couples of many different faiths and beliefs, and I feel fortunate to be able to adapt to the bride and groom’s viewpoints and perform a suitable ceremony that best fits within their needs. 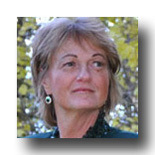 In addition to my ministry services, elements of my background include assisting with the operation of a local wedding chapel in South Lake Tahoe and authorship. Much of my academic experience comprises a broad study of various spiritual faiths with extensive application in Christian traditions. Accordingly, regardless of where you are in your spiritual journey, I can offer a variety of ceremonies ranging from an unadorned civil nuptial to a more traditional styled wedding. View samples of a Non-Denominational ceremony and Non-Religious ceremony.